On this night, squad 42 held their annual installation dinner. While it's an annual tradition, every year it's a celebration of the accomplishments of the year prior, and a look forward to the year ahead. Who's enjoying this cold weather? That's right, no one. But one thing that seems appealing during these frigid days is going out on the ice. Ice Skating, Fishing or Hockey can be a lot of fun on a frozen body of water. However, it can also be very dangerous. The day has finally come and gone. All 6 of our EMT students (the Waretown 6 as we call them) graduated in ceremonious fashion last night. Our 2019 Officers and Executives are…. Who ya gonna call, ER or Urgent Care? 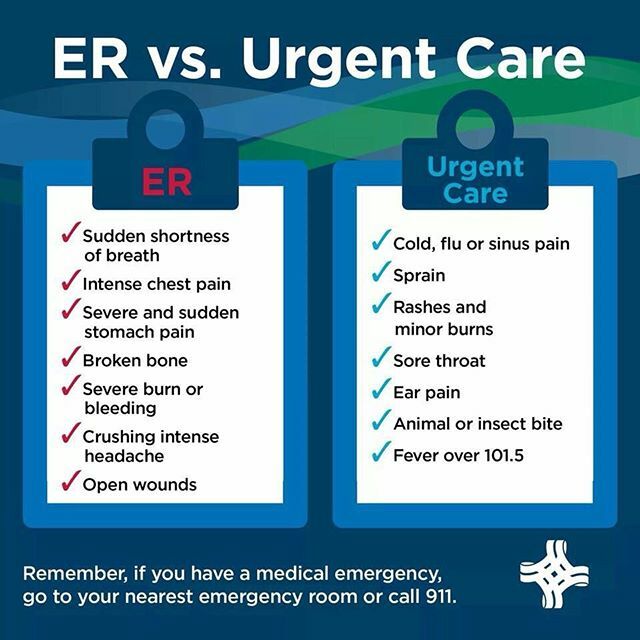 In light of the season, please see the graphic below regarding if you should go to the ER vs. Urgent Care or your Primary Care Physician. If you follow the world of EMS or any of the scanner news pages, you will have seen that a lot of hospitals have been going on full Divert for hours at a time almost every day. What does this mean? This means that when there is an emergency call and we transport a patient via ambulance, our options on what hospital to take the patient to are now limited as we are not to go to a hospital on Divert. Why is this happening? In a lot of cases the ER's are becoming over-crowded with patients with flu like symptoms, especially around this time of year. Please take the following advice into consideration when making the choice to get your symptoms treated. As always, if you're unsure or feel that there is an emergency, do not hesitate to call 911. Are you using the right car seat? Ever wonder the meaning behind the Star of Life? While the crew here at Squad 42 are always ready to answer the call, you can be ready as well to protect your family in the case of a minor medical emergency.